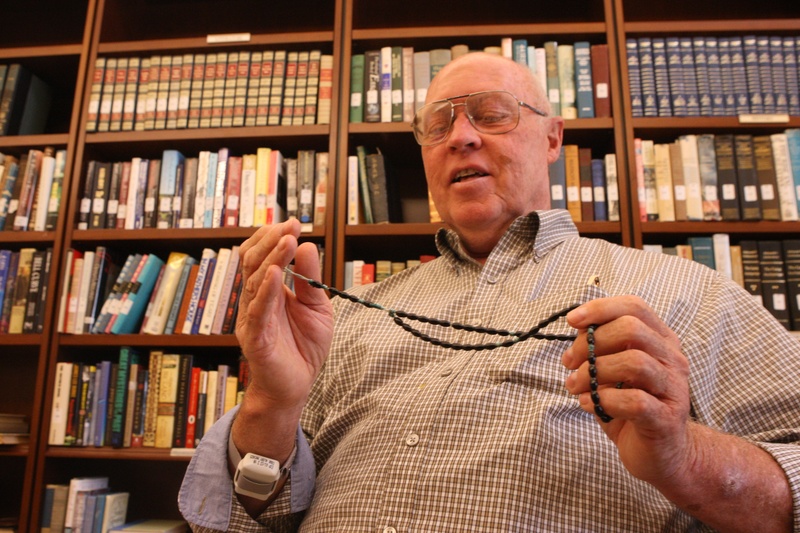 Redemptorist Father John Murray is convinced he’s a walking miracle. After suffering a fall that left him paralyzed from the chest down, the former pastor of St. Mary in Annapolis and St. Wenceslaus in Baltimore began praying for Blessed Francis X. Seelos – a former St. Mary’s pastor – to intercede on his behalf. 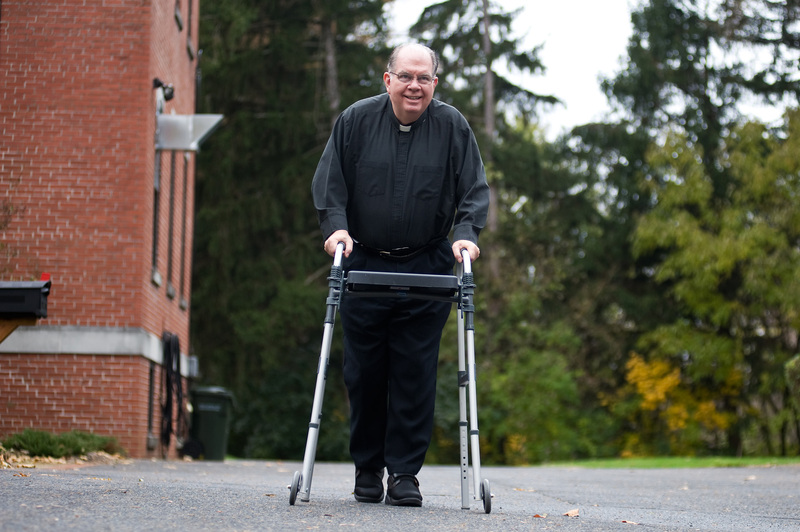 As noted in this upcoming story in The Catholic Review, Father Murray is now walking on his own and will soon receive his first priestly assignment since the 2010 accident. After spending a morning with Father Murray in preparation for the article, I was struck by how the priest was inspired by his fellow Redemptorists. As he underwent rehabilitation at Stella Maris nursing home in Timonium, the priest lived with infirm and elderly members of his religious order and, at 63, was the youngest priest among them at the St. John Neumann Residence – a wing for retired Redemptorists. It was quite different from a former facility in which Father Murray lived after the accident – one in which he could sometimes go a day without seeing another person besides the medical staff, he said. There were 18 Redemptorists living at Stella Maris with Father Murray, 13 of whom spent most of their priesthood in foreign missions. Five Redemptorists died while Father Murray lived at Stella Maris. He watched his brother priests gather in the room of dying clerics, staying with them and praying with them before and after they died. “It was just so touching,” he remembered. Father Murray noted that the St. John Neumann Residence could not be more perfectly named. St. John Neumann had been a diocesan priest in New York in the 19th century. He became depressed because he was often alone, Father Murray said. The priest joined the Redemptorists because one of its great charisms is community life. 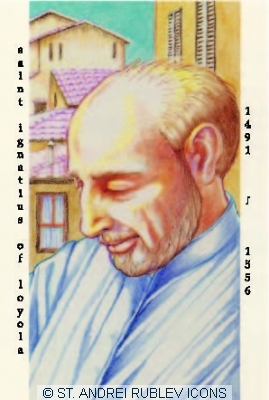 In honor of today’s Feast of St. Ignatius Loyola – founder of the Jesuits – here’s a video clip of Father James Martin, S.J. sharing some of his favorite Jesuit jokes. It’s taken from the priest-author’s July 29 talk at St. Ignatius in Baltimore. I know you’ll enjoy it! Also, the image of St. Ignatius shown on this blog is one of Father Martin’s favorites. It shows the great saint at prayer in Rome – perfectly capturing his humanity. Father William Hart McNichols was the iconographer and you can learn more about his work here. For more funny and insightful clips from Father Martin’s lecture on humor and spirituality, click here. Happy Feast Day to all my Jesuit friends from a proud graduate of Loyola University Maryland! Ad Majorem Dei Gloriam! Being a faithful Catholic doesn’t mean you have to be a joyless one. New York Archbishop Timothy Dolan knows that. When Archbishop Dolan was installed to his post in the Big Apple, an enterprising reporter asked the newcomer if there was anything he would like to condemn. Archbishop Dolan responded in the affirmative. “I condemn instant mashed potatoes and light beer,” he deadpanned. Those were just a few of many stories of faith and good humor shared by Jesuit Father James Martin during last night’s Ignatian Day Lecture at St. Ignatius in Baltimore. The Jesuit priest, a bestselling author and culture editor of America Magazine, spoke on the important role of humor in living a spiritual life. Along with Matt Palmer – my good friend and colleague at The Catholic Review, I had the honor of interviewing Father Martin at the end of his lecture. The priest was very generous with his time and gave us a lot of good insights into evangelization. We will be sharing some of what he had to say in the next few days. I will also be posting some interesting observations from Father Martin on what it’s like to be on the Colbert Report. For now, take a look at some of these three video clips from last night. Father Martin will have you laughing like you won’t believe. Stay tuned for much more to come and check out The Welcome Matt to see what Matt Palmer’s posting about Father Martin’s appearance last night. 7/31 UPDATE: Click here to hear Father Martin share some of his favorite Jesuit jokes. May 14 was a special day for religious women and men in the Archdiocese of Baltimore. Archbishop Edwin F. O’Brien celebrated a Mass at the Cathedral of Mary Our Queen, honoring those marking 25, 45, 50, 60, 65, 70, 75 and 80 years in religious life. You can read about that special event here. Congratulations to all the jubilarians! Thanks for your dedication and service to our community! Sr. Mary Francis Altavilla, R.G.S. Sr. Patricia Marie Barnette, R.G.S. Rev. Mother Christina Christie, A.S.S.P. Sr. Mary Annette Beecham, O.S.P. Sr. Catherine Francis Clemons, D.C.
Bro. Charles M. Cully, C.F.X. Sr. Frances Marie Demarco, R.S.M. Sr. Helen M. Doherty, R.S.M. Sr. Mary Jane Elligan, R.G.S. Sr. Elizabeth Thorne Grant, A.S.S.P. Sr. Mary Francita Hobbs, S.S.N.D. Sr. Helen Marie Kling, D.C.
Sr. Mary Louise Kvech, S.S.N.D. Sr. Mary Aloysius Norman, S.S.N.D. Sr. Maria Luz Ortiz, M.H.S.H. Sr. Mary Margaret Pignone, S.N.D. Sr. Mary Claudina Sanz, O.S.P. Sr. Mary Anne Smith, R.S.M. Sr. Mary Ian Stewart, S.S.N.D. Sr. Mary Gabriel Walker, O.S.P. Sr. Dorothy Marie Young, S.S.N.D. Sr. Mary Louise Zaworski, M.H.S.H. Sr. Mary Ellen Brodie, R.S.M. Sr. Catherine Dolores Cress, S.N.D. Rev. 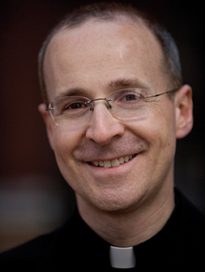 John R. Donahue, S.J. Sr. Kathleen Marie Engers, S.S.N.D. Sr. Barbara Ann English, S.N.D. Sr. Mary Louise Herrmann, O.S.F. Sr. Marie Carl Horn, S.S.N.D. Sr. Mary Susanne Hughes, R.G.S. Sr. Marion Agnes Jerzak, S.S.N.D. Rev. Francis G. McManamin, S.J. Sr. Doris Jean Miller, R.S.M. Sr. Mary Eileen Morisroe, R.G.S. Sr. Mary Lucia Quesada, O.S.P. Sr. Mariel Ann Rafferty, M.H.S.H. Sr. M. Jacinta Robson, R.S.M. Sr. Jane Claire Simon, S.S.N.D. Sr. M. Delia Spitznagel, S.S.N.D. Sr. Mary Louise Zollars, D.C.
Sr. Mary Jean Horne, D.C.
Sr. Francis Marie Lanasa, D.C.
Sr. Marie Veronica Maguire, S.N.D. Sr. M. Aurelia Benedetto, R.S.M. Sr. Mary Xavier Linz, S.S.N.D. Sr. Therese A. McMenamin, S.N.D. Sr. Mary Eileen McNamara, O.C.D. Sr. Mary Alice Chineworth, O.S.P. Sr. Mary Helen Edelen, D.C.
Sr. Mary Lina Litvik, S.S.N.D. Sr. M. Mark Walsh, R.S.M. Father Milton Hipsley’s letters started arriving on my desk in the summer of 2009. Very neatly written in all capital letters, the notes always seemed focused on the importance of kindness and of taking time for spiritual reflection. A new message appeared every two weeks or so. What struck me the most about the correspondence was that I knew the letter writer was suffering from Alzheimer’s disease. 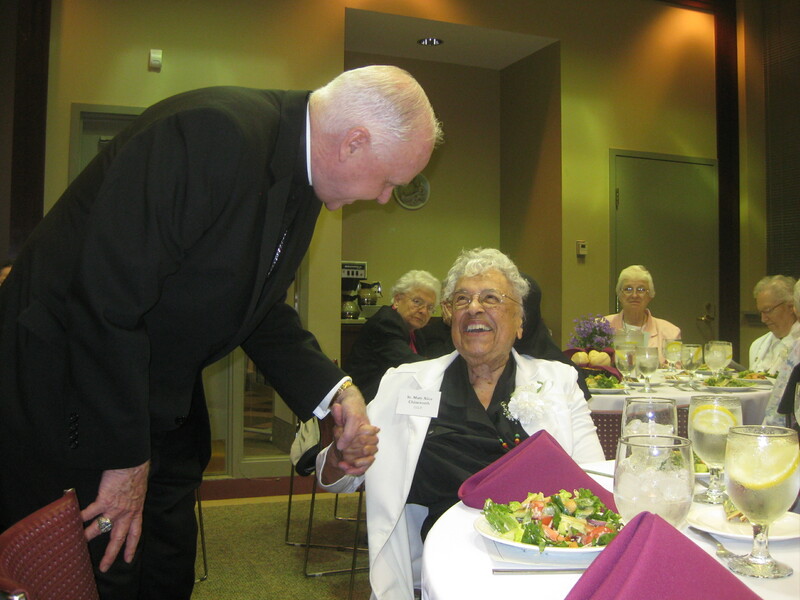 Father Hipsley, a longtime Western Maryland prison chaplain and pastor of St. Mary in Cumberland, had recently moved into Mercy Ridge Retirement Community in Timonium. Wearing a special electronic bracelet so medical staff could monitor his location, the priest who had often visited prisoners was suddenly faced with his own kind of confinement. To me, the priest’s letters were a very tangible demonstration of Father Hipsley’s determination to continue his ministry in one of the only ways left to him – through the mail. About a year after I received that first letter and a year after Father Hipsley was diagnosed with Alzheimer’s, I called Ann Pugh and asked her how she would feel about me writing a story about her brother. Naturally somewhat hesitant about how I would portray her sibling, Ann agreed to my proposal after I assured her that the story would highlight Father Hipsley’s ministry of pen and paper. She graciously accompanied me on a visit to Mercy Ridge so I could spend some time with the retired pastor. The story that resulted from that meeting is one I will always cherish. I was moved by the simple, sincere faith of a man who knew at some level that his mind was leaving him – but who didn’t let that stop him. He remained focused on faith and helping others. Father Hipsley no longer sends me letters. I recently called Ann and her husband, Frank, and they confirmed what I had suspected: the priest’s condition has deteriorated in the last year. He no longer speaks of his beloved Cumberland. Sadly, he’s even given up writing letters. Ann reported that the head nurse at Mercy Ridge believes Father Hipsley has found a sense of peace. He no longer agonizes about not being able to serve his parishioners at St. Mary or the prisoners in Western Maryland. The “long goodbye” has been difficult for Ann and Frank, but the parishioners of St. Joseph in Cockeysville believe God must have a purpose in it. God bless you, Father Hipsley. Thank you for your priesthood and thank you for your courage in allowing me to share your story. Your letters are in a special folder that I keep on my desk. I plan to save them and return to them often. 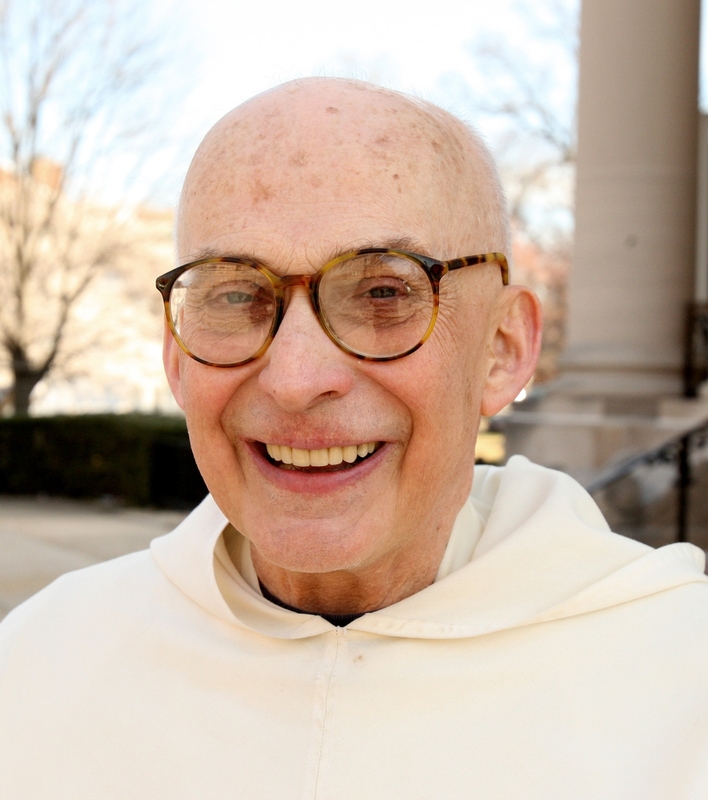 The story on Father Hipsley was recently awarded first place in the feature category of a journalism competition sponsored by the Maryland, Delaware, DC Press Association. I was fortunate to also win first place in the religion category for a story an a survivor of sexual abuse. Click here for a full list of all the honors that were awarded to The Catholic Review. NPR has a story about nun who’s crazy about Dodger baseball. Sister Vincent Cecire, a 94-year-old Missionary Sister of the Sacred Heart of Jesus, has been rooting for the Dodgers ever since they won their first World Series in 1955. It seems that third graders with baseball cards are responsible for getting Sister Vincent excited about the national pastime. Cecire tells her friend Sister Catherine Garry how she became interested in baseball while teaching third-graders in Brooklyn, N.Y., in the 1950s. “The boys would come in with their baseball cards and I’d say, ‘It’s not time for baseball. Now put them on my desk.’ And of course, while I gave them work to do, I would look at the baseball cards,” she says. BTW, I wonder if Sister Vincent held onto any of those baseball cards? Late last year, the School Sisters of Notre Dame in Baltimore fetched more than $220,000 for a donated Honus Wagner card. Sister Virginia Muller – who grew up rooting for the Dodgers at Ebbets Field – received the donation and called it a “gift of heaven.” You can read about that here in The Catholic Review. Note: Sorry about the weird formatting on this post. WordPress is acting up and I can’t get it to format properly.